Everyone has a story. You just need to know where to look to find a good one. Today the news viewer is inundated with click-bait, push alerts, infographics, and snappy headlines. The challenge for journalists today is to engage viewers to watch, read, or listen to a story where they can spend more than 30-seconds digesting the information. In this podcast, we will hear how data gathering is used specifically with WBNS 10TV’s CrimeTracker 10 franchise. 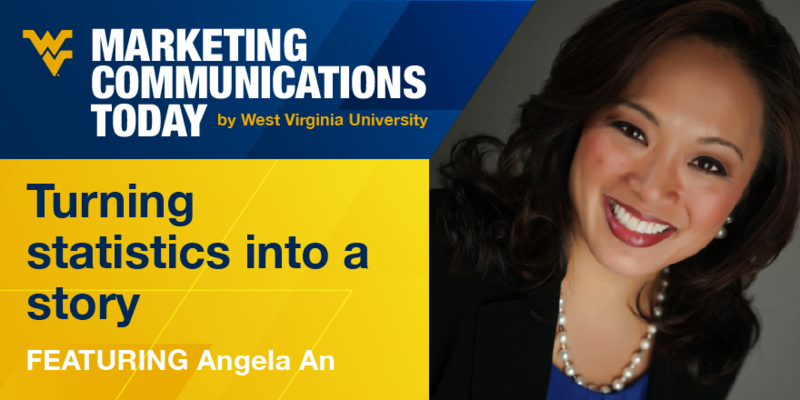 Our guest is morning news anchor, Angela An and our host is Cyndi Greenglass. Ohio Crime Tracker journalist, Angela An, reveals how data exposes real, and sometimes very different stories. Weekday morning news anchor starting at 4:25 a.m. A 6-time Emmy award winning journalist and anchor with more than 20 years of experience in medium to major markets. A great story teller with international experience reporting and compelling live news reporting. Lead reporter for CrimeTracker 10 franchise focusing on crime trends and analysis. Recipient of several major awards including recognition from the National Academy of Television Arts and Sciences, Associated Press, Society of Professional Journalists, etc. Specialties: News anchor, live television host, producer, writer, crime analysis, professional emcee, strategic communicator, public relations, non-profit experience, corporate social media and responsibility.